This innovative study argues that the collapse of Classic Maya civilization was driven by catastrophic drought. Between A.D. 800 and 1000, unrelenting drought killed millions of Maya people with famine and thirst and initiated a cascade of internal collapses that destroyed their civilization. Linking global, regional, and local climate change, the author explores how atmospheric processes, volcanism, ocean currents, and other natural forces combined to create the dry climate that pried apart the highly complex civilization in the tropical Maya Lowlands in the ninth and tenth centuries. 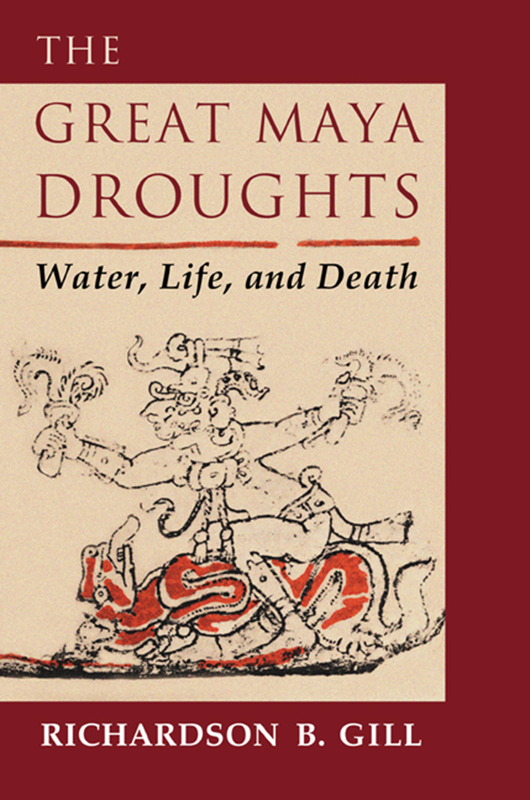 Drawing on knowledge of other prehistoric and historic droughts, The Great Maya Droughts is a useful study of the relationship of humans to their natural and physical environment. The author tries to understand why the Classic Maya failed to adjust their behavior and culture to the climatic conditions and why civilizations in general sometimes collapse in the face of radical environmental change. Richardson B. Gill is a businessman and archaeologist who lives in San Antonio, Texas. He received his Ph.D. in archaeology from the University of Texas at Austin.